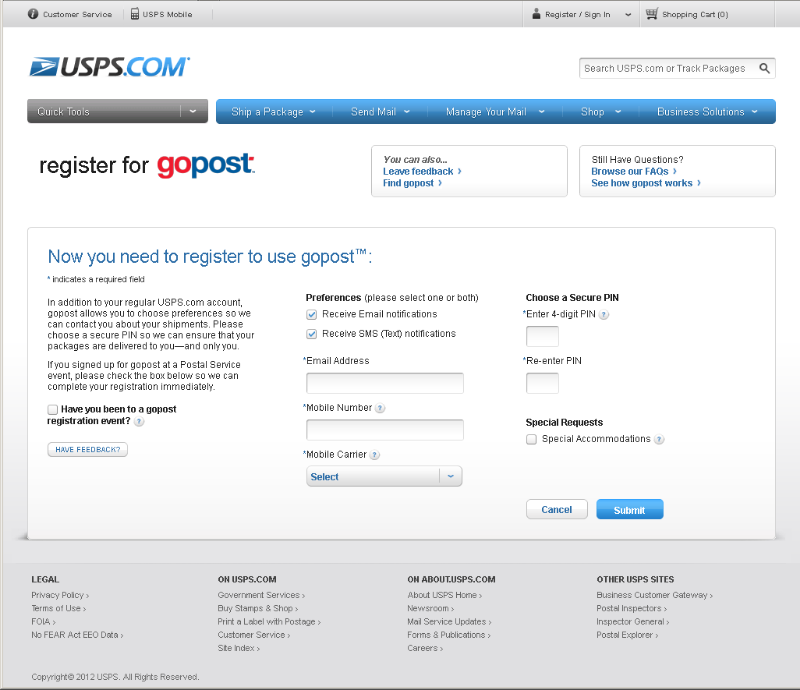 To design and implement a new application site for USPS gopost® in sync with a test launch of gopost units in Northern VA in 2012. 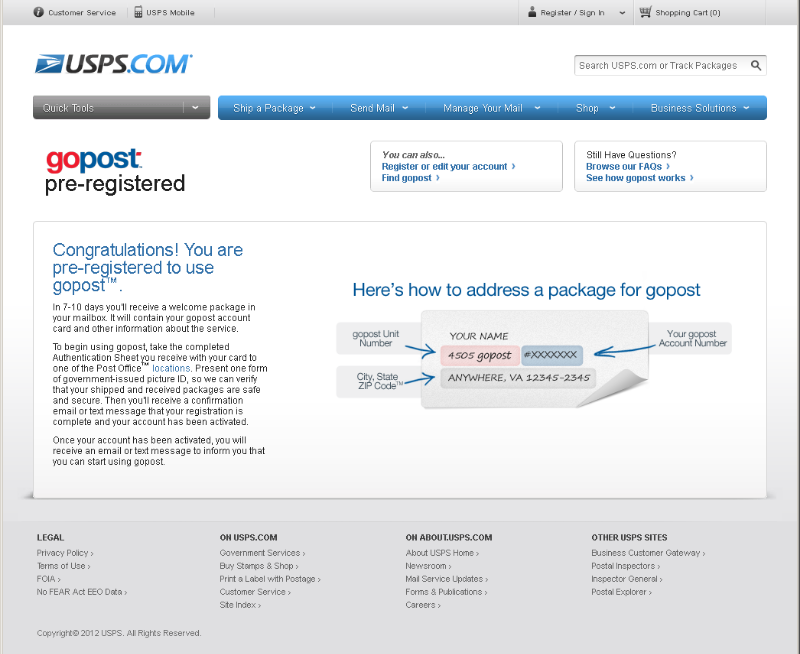 The main purpose of the app is to get new users registered for and informed about USPS gopost. 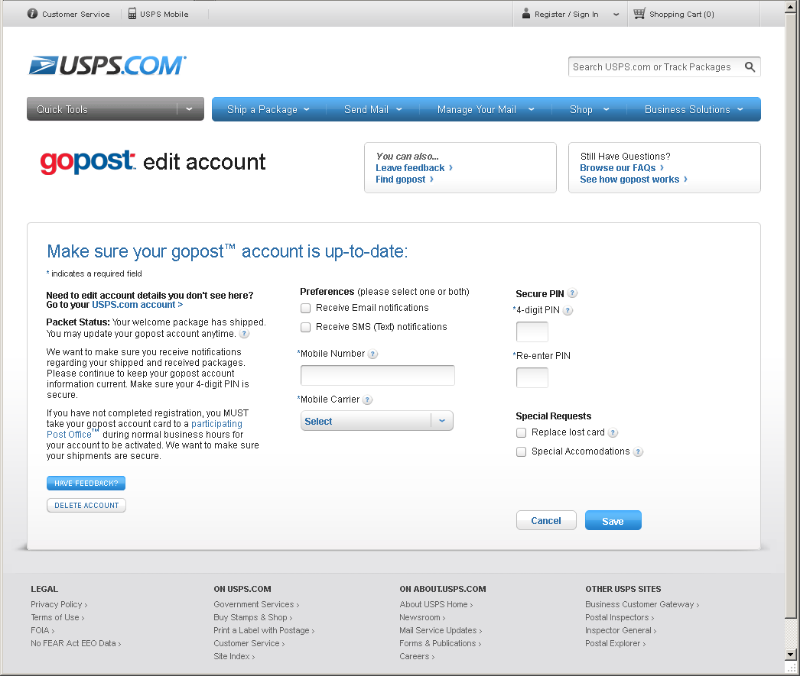 We began designing and developing this site before USPS.com® rolled out their new look & feel in the fall of 2011. To give the user a smooth transition between USPS applications, we needed to adapt gopost® brand within the USPS brand rapidly. Another challenge was working as a UX team of one and front-end developer at the same time while rapidly prototyping the application within short sprints. In addition, working with the CSS and JS (Dojo) frameworks from USPS.com® was very complex, and since Postal adheres to Section 508, I had to ensure that this site was 508 compliant.